"Wood talks. 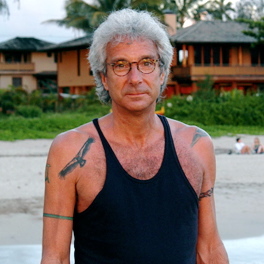 That may sound crazy, but it's true and I try to listen to it as much as I can." 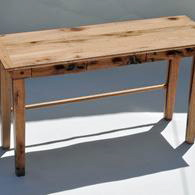 I started making furniture in the early 1980s, long before the term functional art was coined. Unlike other art media, furniture must - first and foremost - serve a practical purpose. If it's a chair, you have to be able to sit in it comfortably. If it's a table, it has to be the right dimensions and shape for whatever use you plan for it. It can still be art. My pieces are one-of-a-kind and many of them (dining room tables, in particular) have been built for very specific spaces in homes. A piece I make for you will be unique. I'm experimenting with chairs now, and dining room chairs will be in sets, but no two will be exactly identical. 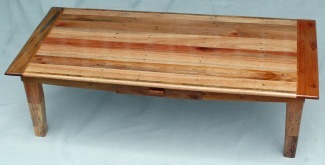 The pieces have very simple lines and are generally solid hardwood. I combine different woods in the same piece most of the time and use ebony, zebrawood and other exotics liberally as highlights. What some people call knots, defects or blemishes are, to me, very likely the most alluring features of a piece of wood and warrant greatest emphasis. 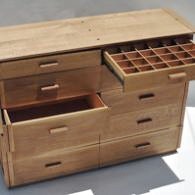 Even though I've been building furniture for 30 years, though, I wasn't able to start making woodworking the central part of my professional life until late 2010, after two decades of planning during a career in the news and public relations industries. I'm a member of the Furniture Society and Fine Wood Artists. 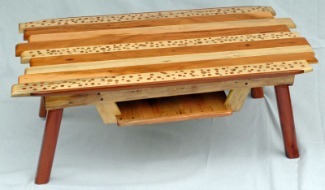 In addition to what you see here, my work can be found at www.furnituresociety.org and www.finewoodartists.com.